ONCE upon a time… That’s usually how fairytales begin, isn’t it? Looking back at Fermanagh’s 2015, it’s difficult to characterise their season any other way. They didn’t win anything – except promotion and a fair bit of admiration – and lost the only final they managed to get to, but this year went as well as any Fermanagh supporter would have hoped when they began their NFL Division Three campaign on the first day of February. Like disappointingly few fairytales, this one begins in Enniskillen on a cold Saturday night. Pete McGrath’s side laid down a marker for their League campaign with a composed, controlled display against Louth, kicking 0-16 and winning by nine points. It ended in the most appropriate place, Croke Park on a Sunday afternoon, with a packed Hill 16 bewildered by a team without even the remotest All-Ireland aspirations refusing to capitulate. The Dubs emerged very comfortable winners, but Fermanagh’s furious finish meant they left the biggest impression that day. 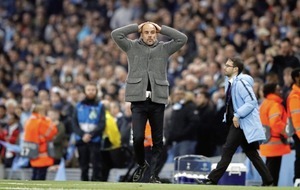 There was some snarky churlishness on social media – although if it wasn’t for snarky churlishness social media would be nothing but videos of cats and pictures of people’s dinners - about the Erne supporters cheering their team after an eight-point defeat, but that missed the point. If you’ve never won a provincial title and reached the final fewer times – five – than every other county has actually won the thing, you take what you can get. That’s why 2008, when they were a free-kick away from beating Armagh in the Ulster decider, and 2004, when they were a point away from the All-Ireland final, rank of Fermanagh’s best two seasons ever. And it’s why 2015 is right up there as well. Their Championship exploits have drowned out probably the most impressive Fermanagh exploit this season – putting together an unbeaten run to secure promotion to Division Two of the National League. They finished third in the division in McGrath’s first year in charge in 2014, but were nowhere near promoted sides Cavan and Roscommon, both of whom secured a top-two spot with a couple of games to go. This season, Fermanagh never let the momentum slip after that win over Louth. They added victories over Sligo and Tipperary, then went to the Athletic Grounds and came home with a draw, despite allowing Armagh to build an eight-point lead after 23 minutes. Further wins over Limerick and Wexford meant the Erne men could run their panel for the last-day dead rubber in Clare. The Division Three final loss to Armagh was disappointing as silverware opportunities are few and far between for Fermanagh, but there’s no way they wouldn’t have traded that cup for the fun they were about to have. In the end, Fermanagh played six Championship games, winning four of them – two of which were at home to Antrim – and losing the other two by 10 points and eight points. Monaghan put the foot down and produced a late scoring burst in the Ulster semi-final and the Dublin match will never carry any negative connotations for Fermanagh people. 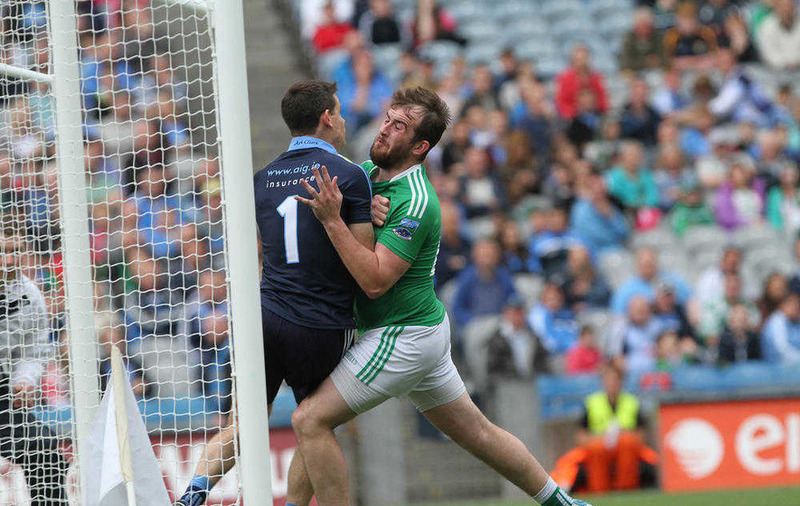 But those good feelings don’t all come from confounding the Hill and Seán Quigley bodychecking Stephen Cluxton. 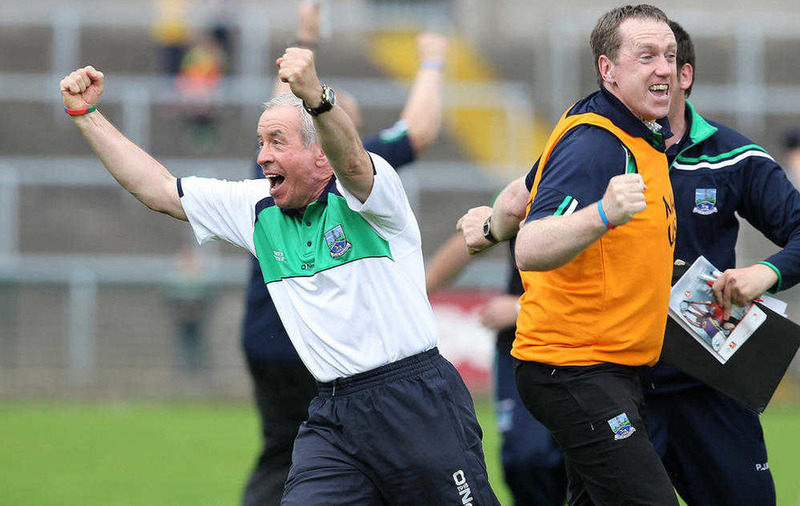 The Qualifier comeback against Roscommon at Brewster Park on July 12 entered Fermanagh folklore the moment referee Cormac Reilly blew the final whistle. Five points down with six minutes left, they reeled off six points to win. Journalist and former Fermanagh forward Colm Bradley called the turnaround “arguably the finest period of play ever produced by a Fermanagh team”. When a man who played a starring role in Fermanagh’s remarkable summer of 2004 says that, you know 2015 was a fairytale you can believe in. To KNOW – or have a decent stab at guessing – what Fermanagh need, you first have to work out exactly what they want. After their All-Ireland quarter-final defeat to Dublin, manager Pete McGrath spoke about targeting the Ulster Championship. It’s a nice thought, but nothing Fermanagh did this summer suggests that’s a realistic target. There’s a huge leap between a nice run in the Qualifiers and being a genuine contender for the Ulster title. Only Donegal and Monaghan have managed to win the Anglo-Celt the past five years and no other team has put up a serious, sustained challenge to either. Tyrone’s progress and performances this year have propelled them to Ulster’s top table. Fermanagh, as well as they did in 2015, are a long way off that. Some of the things they would need to make that leap can’t simply be magicked up. They’ve got a very small playing pool and haven’t enjoyed underage success. They haven’t reached the Ulster U21 final since 2001 or the minor since 2003. That minor final appearance was their first since 1971. Every other Ulster county has appeared in the minor final at least once since 2006 and, apart from Antrim who have to go back to 1982 for their last title, every other county has won at least one since 1999. 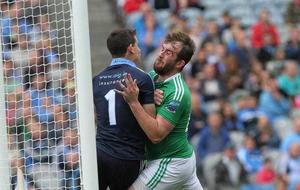 As much of a rabble rousing fight as they put up, they were never going to have the arsenal to compete with Dublin. That’s no shame as not many counties do, but Fermanagh will find 2016 much more difficult than 2015 from the very start. Division Two will be a struggle, but Fermanagh need to be able to hold their own at that level to make real progress. It’s a big step up to be playing games where there’s far less margin for error than they enjoyed last season, but the confidence of 2015 will be a big help. With four other Ulster teams, it will be a good test of their credentials as provincial challengers. If McGrath can unearth a few more options and his players give him more of the same commitment they showed this year, it’s difficult to ask for much more. THERE can’t be too many managers in the country as secure in their position as Pete McGrath. The Rostrevor man has worked wonders with Fermanagh since taking over from Peter Canavan the season before last and has delivered everything the Erne county board and supporters could reasonably have asked of him. Goings on at the other end of the province may have the board and fans nervous, but McGrath insists hypothetical situations in Down are none of his business and, as things stand, Fermanagh have no worries along the line. MIDFIELDER Eoin Donnelly won an Irish News Ulster Allstar and was superb in the provincial semi-final defeat to Monaghan – good enough to be named man of the match – but there’s no getting away from the outstanding on-pitch personality of Fermanagh’s summer. Seán Quigley’s cult hero status was enshrined for ever when he clattered into Stephen Cluxton so impressively that he temporarily made referee Pádraig O’Sullivan forget the rules of Gaelic football – either that or the goal was given because the umpire thought Cluxton had carried the ball over the line before Quigley touched him. But that theory isn’t anywhere near as entertaining and, anyway, cult hero status doesn’t do Quigley justice as he actually delivers for Fermanagh. He’s probably going to end up top scorer in this year’s Championship, averaging more than seven points a game, including 0-14 against Antrim and 1-8 against Dublin if he gets credit for the goal he shouldn’t have got any credit for. He hit a lot of wides too, but there’s no place for churlishness here, snarky or otherwise. Fermanagh’s summer wouldn’t have happened without him. IF ANYONE'S going to be fast-tracked into the senior set-up from this year’s minors, Cian McManus is the most likely candidate. The centre-half back from Teemore skippered the Erne men in their Ulster MFC defeat to Antrim at Brewster Park, but enjoyed more success as joint-captain and number six on the St Patrick’s, Cavan team that won the MacRory Cup for the first time since 1972 in March. He also picked up his second consecutive Ulster Colleges Allstar award. 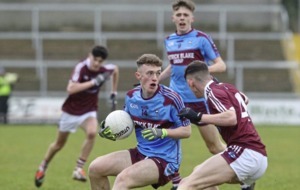 McManus’ Teemore club-mate and cousin Eoin McManus will benefit from his first year on the senior panel – although he didn’t get much game-time and only started the opening NFL Division Three win over Louth, when he was selected at top of the left. The former St Michael’s, Enniskillen pupil, who was selected on the same Colleges Allstar team as his cousin Cian in 2014, is already his club’s chief scoring threat, despite still being a teenager. McManus was key in guiding Teemore to last year’s county decider and scored their goal in the final defeat to Roslea. THIS should be pretty simple: Have a look at Fermanagh’s Championship panel, pick out the poor, decrepit souls in their 30s and send them to the knackers' yard without a second thought. But it’s not that simple. Only three players Damien Kelly (31), Niall Cassidy (33) and Ryan McCluskey (33) are in that category – and no other panel members will turn 30 before, or even during, next season. Add to that the fact the oldest of those – Cassidy and McCluskey – weren’t just scraping onto the panel or getting 20 minutes here and there, but were rather the spin of the defence at full-back and centre-back respectively – although they didn’t always line out there – and it’s hardly a given that either will decide to hang up their boots, especially with the momentum and good feelings around the squad this season’s adventure has generated. Would you want to miss out on seeing where that’s headed?